This event has SOLD OUT and our wait list is closed! Thank you to the hundreds who registered! GME is pleased to offer a discounted room rate for attendees at this meeting. To make your reservations, please follow the link below or call the hotel directly and mention Global Medical Education. We do expect rooms to sell out quickly, so please book your rooms early! This activity is jointly provided by Postgraduate Institute for Medicine and Global Medical Education. This activity is supported by an independent educational grant from Allergan, Lundbeck, Sage Therapeutics, Saladax Biomedical, Sunovion, and Takeda. This activity is intended for physicians, physician’s assistants, nurse practitioners, pharmacists, psychologists, registered nurses, and other healthcare professionals engaged in the care of patients with mood disorders. • Identify reasons for the misdiagnosis of mood disorders. • Describe role of epigenetics and stress in mood disorders. • Utilize digital tools to diagnose and manage mood disorders. • Employ evidence based treatments for major depression including treatment resistant patients. • Describe pharmacotherapies for manic and mixed episodes of bipolar disorder. • Describe pharmacotherapies for depressive episodes of bipolar disorder. • Use strategies to improve adherence, including the role of long acting injectables. • Utilize strategies to manage side effects of medications in patients. • Encourage cardiometabolic screening of patients with mood disorders. • Employ evidence based psychotherapies in patients with mood disorders. The Postgraduate Institute for Medicine designates this live activity for a maximum of 14.0 AMA PRA Category 1 Credit(s)™. Physicians should claim only the credit commensurate with the extent of their participation in the activity. 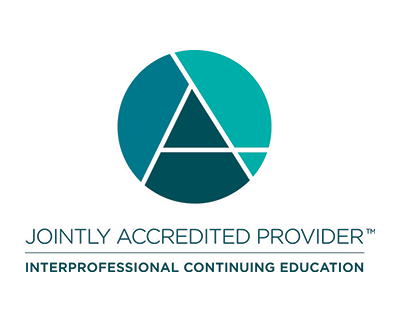 Postgraduate Institute for Medicine designates this continuing education activity for 14.0 contact hour(s) (1.30 CEUs) of the Accreditation Council for Pharmacy Education. The maximum number of hours awarded for this Continuing Nursing Education activity is 14.0 contact hours. Pharmacotherapy contact hours for Advance Practice Registered Nurses to be determined. Provider approved by the California Board of Registered Nursing, Provider Number 13485, for 14.0 contact hours. This program offers 14.0 continuing education credits for psychologists.